Horizon Chase Turbo is ranked in the 76th percentile of games scored on OpenCritic. While the penalty for running in to things feels too stiff, the annoyance strangely merges with the overall arcade pastiche of Horizon Chase Turbo to feel more appropriate than unfair, and the variety of great things this arcade racer does far outshine the bad. A must for classic gaming fans. The game reminded me immediately of old arcade racers Pole Position and Out Run. The turns and the feel of the car nail the almost recreation of that special gameplay back in the 16 bit era. With what feels like unlimited high-speed action through consistent upgrades to the fast paced passing and wrecks you will encounter while racing your way to be number 1. The mechanics for each of the cars feels like they were meticulously crafted as each handles almost perfectly. You will be second guessing yourself after each upgrade, wondering if you picked the right one to make your next few races as easy as possible. Horizon Chase Turbo is chocked full of cars and tracks, and numerous variations on all of the above. Not only does the Brazilian developer Aquiris bring quantity, but it also brings impeccable quality. This high-level slew of content, finesse and masterful, fast-paced racing, perfectly captures the true essence of any racing title. Anyone looking for a racer on the Nintendo Switch, should automatically consider this without any hesitation. If you're a super-serious racing fan, then Horizon Chase Tubro might come off as being a bit too simplistic. 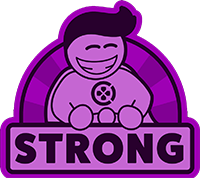 But, I think it strikes a good balance between having a fun arcade feel with some challenging aspects also being present in order to keep you coming back again and again. As stated, I find the Switch version to be the best suited for the task. Thus, I'd arguably consider it to be the definitive version of the game just for the sake of being able to play it at any time. If you've been craving an arcade racer for your Switch, look no further. Horizon Chase Turbo is a hugely enjoyable love letter to a gaming era when the cars were fast, the music was catchy, the action was smooth and the sky was bluer than an Eddie Murphy stand-up routine. Its enormous selection of tracks, addictive World Tour mode and excellent local multiplayer make it an absolute must-have for anyone even remotely interested in the genre. This is not something I usually do with racing games. I kind of wish online multiplayer was in here (it does have persistent global and friend leaderboards), but it's a small price to pay for this lovely package. Horizon Chase Turbo was a very pleasant surprise--go play it. When it comes to arcade racing there’s simply nothing out there as impressive or as complete as Horizon Chase Turbo. Not only does it look and perform great, aside from a lack of online multiplayer it really offers up everything you could ask for and more. Incentives to return to unlock new areas, tracks, sweet rides, and upgrades is fair motivation, matching your times against buddies or the world are icing on the cake. While it may offend the sensibilities of more modern racing fans who have a taste for realism, I’m happy to say the spirit of Out Run and its contemporaries is alive and well in this outstanding title that’s chock full of terrific content. Being an arcade game, Horizon Chase Turbo is definitely a must-play for those who reminisce about the good old days. Horizon Chase Turbo is a one way trip to the nostalgia that brazilian players feel with the SNES classic title Top Gear. With a gameplay that resembles it, but with several modern touches such as collectibles, HCT is addictive and accessible to any kind of player. The local multiplayer makes the package even more appealing. There are some letdowns though, such as the little variety of modes and the difficulty being relatively too easy. I had a hell of a time with Horizon Chase Turbo. Of all of the retro revival games that have come out over the past few years, it is near the top of my personal list of favourites. I can't get enough of it. For future iterations it would be cool to see a track editor, and maybe an online multiplayer mode, or some other way to implement variety into the core game since even with various tracks the experience can get tiring and is best served by short bursts of play, but I like what's here. Horizon Chase Turbo succeeds in being a worthy successor to Top Gear and doesn't try to pretend to do much else beyond that. Even if it feels like a 90's racing arcade, with marvelous landcapes and frenetic races, Horizon Chase Turbo doesn't give up showing a strong personality and a fresh low poly style. Horizon Chase Turbo is an unshamed rendition of the 80/90s driving arcades. 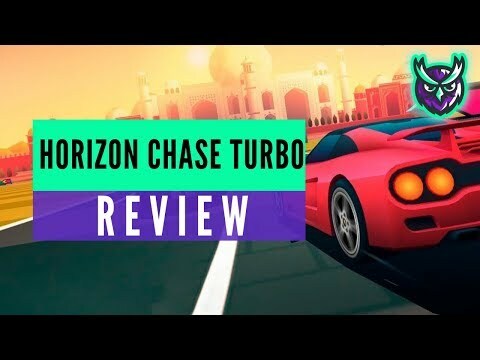 Horizon Chase Turbo may not be the most innovative racing game ever made but that doesn't stand in its way of providing a fun, addictive and lengthy racing game experience, with its never-ending content and simple gameplay. Had it received an online multiplayer treatment, Horizon Chase Turbo could have gone farther. Refreshing without losing its “retro” feeling, Horizon Chase Turbo is by far one of the most enjoyable, addictive and easy to grasp / hard to master arcade races of 2018. Horizon Chase Turbo is a throwback racer for those who want to race with near-impossible odds at all times. Constantly starting at the back of the pack, the aggressive AI opposition, and the exaggerated physics system require nothing less than pure skill and tremendous luck if players want to get close to first place in any races. At the same time, the generous progression system and easy-to-handle controls mean that you can get quite far before you need to start being perfect. With local multiplayer and an excellent presentation in tow, Horizon Chase Turbo is a must-have for those who dearly miss old racing games. Horizon Chase Turbo is everything you could ask for in a modern take on the classic arcade racing genre. The gameplay is simple, there are several modes and cars to unlock, and the online leaderboard events will keep you coming back to this game again and again. Combining the same kind of fast-paced fun that worked so well years ago with a picture-perfect progression model, Horizon Chase Turbo is exactly the kind of arcade-inspired racing game the industry has needed. Horizon Chase Turbo takes all the best aspects of classic arcade racing titles and modernizes them successfully, providing a fun and enjoyable racer. The presentation and lack of game modes can make the racing overly repetitive, but the time spent is well worth the investment, even if only a couple hours. A great and awesome tribute for all the classic arcade racing games like Out Run and Top Gear. Don't be deceived by colorful graphics. Horizon Chase Turbo is extremely challenging, but also really satisfying. If you're into colorful racing games with a ton of content, then you should definitely check out Horizon Chase Turbo on PlayStation 4. The team at Aquiris has done a great job with this fast-paced racer, and I'll be working my way on getting a new Platinum for my collection as I work on completing the pending objectives in my trophy list. Hopefully we soon get some extra DLC tracks… or a sequel next year! Horizon Chase Down is a good choice for fans of the Arcade Racer genre, specifically for those who enjoyed games like Out Run, Top Gear, Cruis'n USA and the Rush series. With a basic, but responsive control, a difficulty that does present a challenge, despite some occasional details, an impeccable visual presentation with colorful and detailed elements and a memorable soundtrack, this racing game fulfills what it promises, performs the homage that has given rise to its existence and represents a fun options that allow players to remember the golden age of the genre. A great homage to the old arcade racing games that manages to hit the right pedal during a couple of hours, but doesn't evolves enought to keep you intertained forever. Horizon Chase Turbo is a fun and challenging racing game that harkens back to the old school arcade days. The collision system can be aggravating and dampen the fun as a result. The tracks aren't anything to rave about, but the environments have a bright, plucky charm to them. It has its share of flaws, but it is worth checking out if you need a quick racing fix. A thoroughly enjoyable arcade racer with an eye on the past, Horizon Chase Turbo does a commendable job of reinvigorating 90s arcade racing in a way that nobody else has really bothered to do. There is a lot of crap to wade through in gaming today. So when something as special and fun as Horizon Chase Turbo comes along, I feel the need to shout it from the rooftops. Horizon Chase Turbo is simple fun that doesn't offer up an overbearing challenge for its racers. It contains some good rewards, which help keep the player motivated, but needs to be just a bit deeper in the physics department. All in all, though, it's a fun arcade racer. Horizon Chase Turbo is an old school inspired arcade racer that can be both fun and frustrating to play. When it is at its fun moments then the attitude of just one more race takes over as you become engrossed. When the game throws up its frustrating moments they can override a lot of goodwill. If you're looking for an arcade racer then Horizon Chase Turbo is worth considering, but don't let its charming looks fool you as you'll face a tough challenge within. All of this makes Horizon Chase Turbo a bit of a frustrating experience. Where it excels is in ideas and concepts, yet it falters on the basic function of exciting racing. It looks and sounds good but lacks any memorable locations or tracks and it straddles an odd balance between pure arcade racer and pseudo-simulation, with its use of refuelling and permanent upgrades. The spirit of old school arcade racing is reborn in a homage to everything from OutRun to Lotus Turbo Challenge, and despite a few bumps in the road it's all just as much fun as you remember. It is a worthy replacement for Out Run, in that it does everything those games did but with a shiny coat of paint and some bells and whistles that are genre-staples nowadays. It doesn't make any noticeable attempt to improve on that formula in anyway, though. For someone looking for something a little more than sprinting around flat tracks in pretty places (or playing online with your friends) you may be left in the dust. A retro racing throwback, Horizon Chase Turbo replicates the speed and fun of classic 1990s-style racers. It’s far away from being perfect, but Horizon Chase Turbo is one hell of a stylish way to waste 30 minutes of your day. You can now experience a modern OutRun with slick looks and lots of references to pop culture. Horizon Chase Turbo is a slick, polished, pulsating love-letter to the arcade racing games of yesteryear. It's just a shame that in a genre known best for what felt like endless rolling roads, what's on offer here – thanks to its transition to tracks and unlock-to-progress mechanics – feels rather more repetitive in comparison. Horizon Chase Turbo does a good job of creating a sense of speed, and emulating the look and feel of Out Run. Where it falls down is in replacing the timer mechanics of Out Run, which made for a frustrating but ultimately exciting and tense arcade game, with a more typical racing track structure. It plays fine, but with none of the intensity, nor sense of reward, of the game it pulls almost all of its inspiration from.